Click here to see our Blue/Silver/White Calendar- Revisions may be made throughout the year. 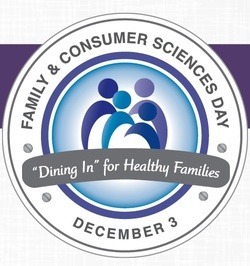 See what is going on around the district. 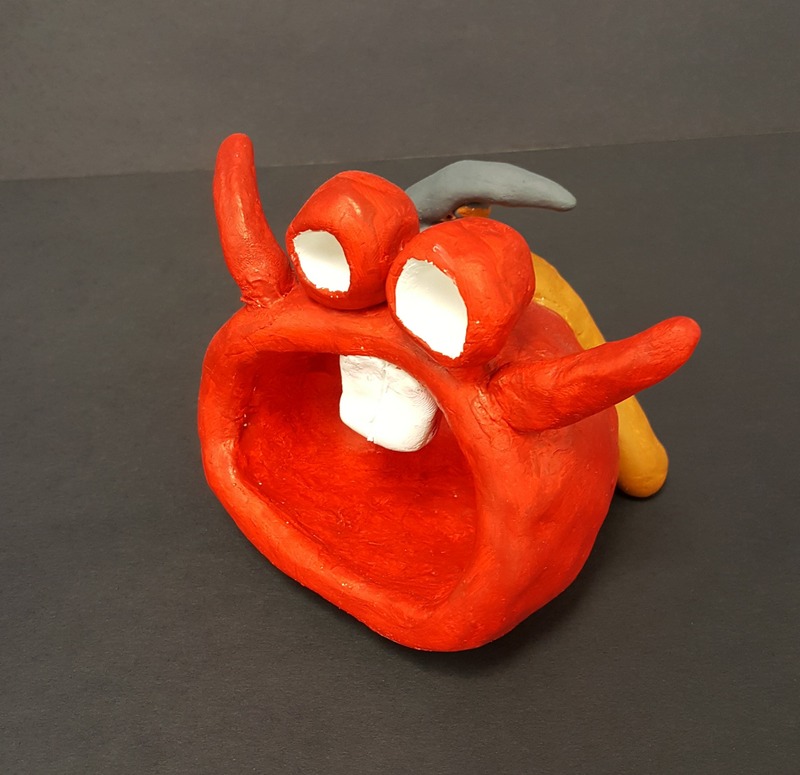 Click here to see the work of some of our student artists. Our State mandated testing begins next week. Here is the schedule for testing. Please take a moment to check out our new student art page. Click here to buy and create a yearbook ad online. 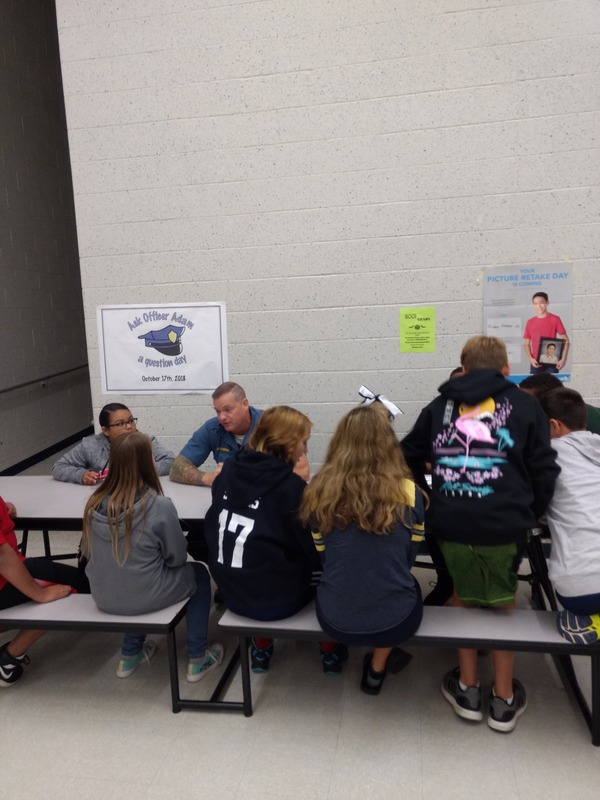 Today our students had an opportunity to ask our Student Resource Officer, Adam, questions about the job! Excited students lined up to ask away! 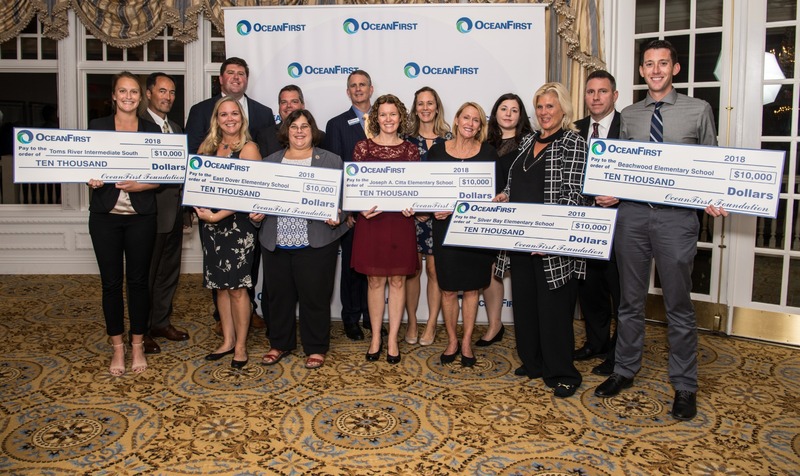 Intermediate South Wins Ocean First Grant! 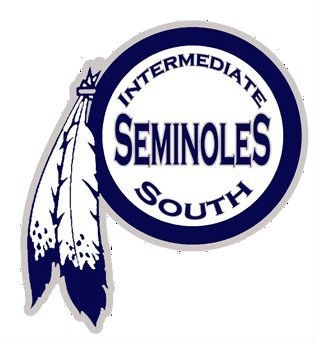 On October 2nd Toms River Intermediate South was one of 25 schools out of 144 that was selected to receive the $10,000 Model Classroom Grant Program. Thanks to Ms. Newsome and our administration who worked together to win the grant. 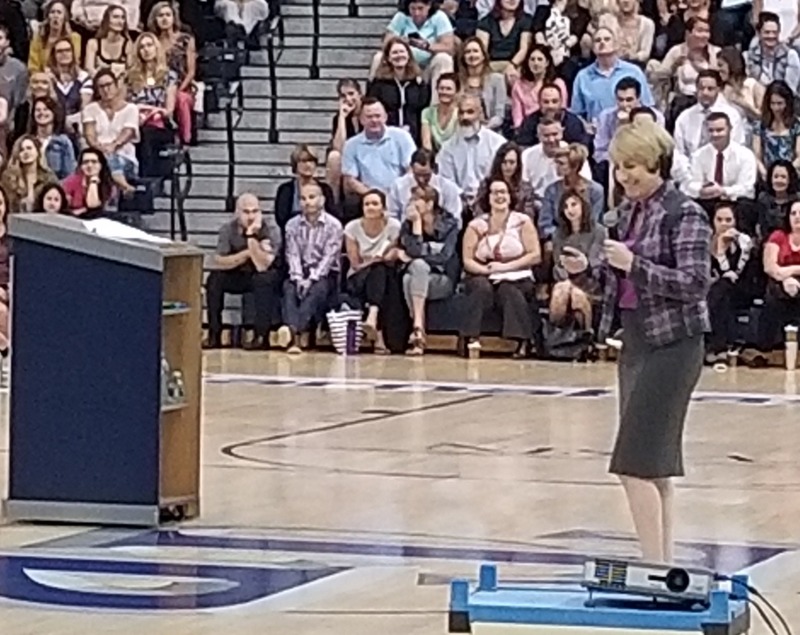 Keynote speaker inspires staff with an impassioned address. The first full week of October, NJ schools celebrate a Week of Respect in which activities and learning take place in an effort to make students, staff and the community aware of the dangers and consequences involved with harassment, intimidation, and bullying. Calling all artists and designers. Our Annual Fun Run needs a new logo! Get in on the action and submit an entry to any art room or the main office. The logo should embrace the "Anti-Bully" theme of the yearly run. Students and staff are off to a great new year. Check out the display in the main foyer and see why Mrs. Ryan is our Star! Take the social norms survey! Mrs. Hawkes is our February Star. Ever wonder why Mrs. Hawkes is our February Star? Could be all the Love and Support she gives our students?? Be sure you check out her showcase on the way to lunch! Click here to see the the presentation.